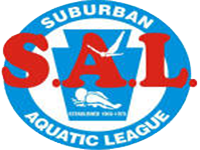 Five SAL Dual meets are held on Saturdays in November and December. Teams compete as either boys’ or girls’ teams. If the team that your child is on is home, warm-ups begin at 12:15 PM with a 1 PM start. Meets generally last approximately 2 ½ hours. If your child participates in a minimum of two of these meets, he/ she is eligible for two post-season Championship Saturday dual meets in January along with a final individual championship meet at the end of January. All of these meets are included in your membership fee. In order to run these meets, we require all parents to volunteer to assist with the meets. There is an understanding they are learn on the job positions so there is no pressure to be perfect! We collect a $100 volunteer fee at the beginning of the season and refund at the end of the season if the volunteer requirement has been satisfied. Further details on volunteer positions can be found here. In addition to the above dual meet competition opportunities, there are several individual SAL Invitationals held throughout the season. Anyone can sign-up for these meets. They do not count towards your dual meet minimum for championship eligibility. However, the times do! These meets have an individual cost. We also offer the option of becoming a USA swimmer. USA swimmers swim a longer season that runs into the month of March and they swim in Invitational type meets hosted by clubs in the PA/NJ area. Swimmers work to qualify for championship meets such as Junior Olympics. The minis is a two day a week program in October which transitions to a three day a week program in November. Practices for this age group are 45 minutes in length with emphasis on body balance, kick endurance, stroke development, and FUN!! 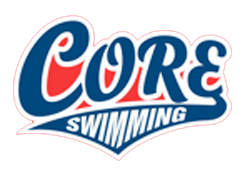 Lead by Alexa Komar, (17 years of CORE Coaching experience and former Neshaminy Swim Team Captain) and Renee Fisher (20+ years of Neshaminy Aquatics and CORE Coaching experience), this program will give your child an outstanding early years’ experience in the sport! 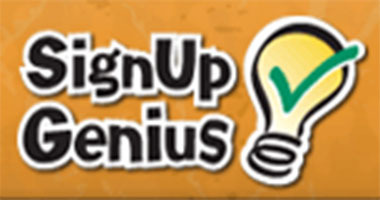 Potential members must be able to complete one lap of the pool without stopping. They also must be able to comfortably place their head in the water. All participants are eligible to compete in all SAL CORE Dual Meets. Weekly attendance IS NOT mandatory but should be at least one time a week. Building on the skill development from the Minis group, this program will focus on refining strokes, speed development, continue kick endurance, and fun! As season progresses, group will differentiate based on developmental progress. Practices are offered four days a week for an hour each night. A committee of experienced staff lead by Lead Age Group Coach, Alexis Alexander, will coach this group. In addition to the minis qualification, members must be proficient in freestyle and one other stroke, and be able to complete 10 laps in ten minutes. All participants are eligible to compete in all SAL CORE Dual Meets. Weekly attendance IS NOT mandatory but should be at least two times a week. Swimmers are expected to purchase fins for use at practice. With foundational skills now in place, practices will focus on the training aspect of the sport in preparation to tryout and make the high school team. Swimmers will continue to refine their technical skills in all four strokes. Practices are offered four nights a week for an hour and a half each night. A committee of experienced staff lead by Lead Age Group Coach, Alexis Alexander, will coach this group. Potential members must be able to complete 10 x 50s on a one minute time interval. All participants are eligible to compete in all SAL CORE Dual Meets. Weekly attendance IS NOT mandatory but should be at least three times a week. Swimmers are expected to purchase fins AND Paddles for use at practice.